My neighbors fence is located on my property by 1.5′ at one end and 1′ at the other. What can I do to reclaim the land that is mine? If the fence is wood or a light structure (not solid concrete, stone or brick) and does not have engineered footings, you can pay to move the fence at your expense. Cut the posts above ground level and add new steel posts extending 2′ into the ground. If the fence requires replacing, both neighbors are liable to share the expenses 50/50 and the new fence can be located directly on the boundary. If you are on speaking terms with your neighbor then all you need is an agreement. If your neighbor is not on speaking terms, the house is tenanted or your neighbor is a commercial business send them a letter stating your intentions and their responsibilities. Example Letters. If your fence is a solid masonry structure please contact your local county office for assistance. For the reason above it is not required that the fence line be surveyed if both neighbors are in agreement as to the location. If your home has just been built and no fences currently exist a survey is recommended and may be part of the development/building application. If you are constructing a concrete, stone or brick fence this must be approved by your local county office prior to construction. How should I approach my fencing repairs when my neighbor is an apartment block / commercial building? For dealings with property managers or private companies it is crucial that they are informed prior during and after the course of the job. The most appropriate method is to send written correspondence prior to proceeding with any works. 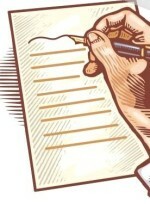 Your letter should state your intentions and their responsibilities regarding access and payment. Download our collection of ‘Letters To Serve Your Neighbors RE: FENCING’. Cut and paste the required letters and send as needed. Letters to serve your neighbors includes legal advice for the correct follow-up procedure to ensure you are reimbursed the costs you are owed and avoid costly neighbor disputes. All States and Counties: AL, AK, AS, AZ, AR, CA, CO, CT, DE, FL, GA, HI, ID, IL, IN, IA, KS, KY, LA, ME, MD, MA, MI, MN, MS, MO, MT, NE, NV, NH, NJ, NM, NY, NC, ND, OH, OK, OR, PA, RI, SC, SD, TN, TX, UT, VT, VA, WA, WV, WI, WY. What are the county swimming pool fence laws? links all states..
Generally, pool fencing and gates must be at least 4′ (1.2m) high from the outside ground level, and can contain no foot holds. Gates must be fitted including approved child safety catches. 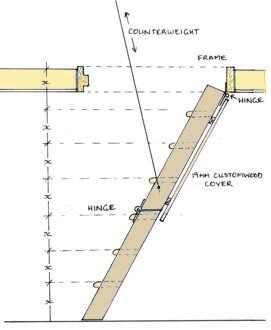 Vertical picket fences must only have a top and bottom rail and the pickets must be spaced no further apart than 4″ (110mm). Do I need a pool fence? This used to depend on when your pool was built. All swimming pools no matter what age MUST have a child-proof and secure pool fence and gate/s. The fence and gate must be a child resistant pool fence that complies with the local Standard for “Fences and Gates for Swimming Pools”. For more information and for links to your state swimming pool laws: www.alldayfencing.com/adfcouncil.php#pool. 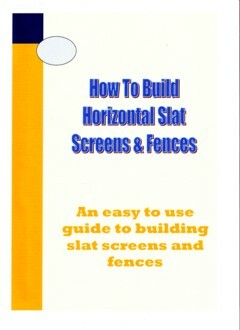 How high can I build my fencing? After careful research it seems the height of the fence is limited to 6′ (1.8m). This applies to the side fencing behind the building line and the rear fence. The height of 1.8m is taken from the side of the fence that has the higher ground level. The side fence in front of the building line, and the front fence is limited to 4′ (1.2m) in most cases. Some areas have existing fences that exceed these measurements. In this case it is reasonable to assume that you would be allowed to build a fence to the same height as your neighbors, or what is most common in your street. For side and rear fences various privacy concerns may come into play. If you have a problem with the fence not offering sufficient privacy from neighboring windows you may wish to build your fence higher than 6′. In most cases you can speak to your neighbor and agree on a higher fence to protect the privacy of both parties. Privacy is a two way concern, if you find you have a privacy problem, your neighbor probably feels the same. If in the event that you cannot agree with your neighbour regarding the fence height the simplest solution is to plant a natural fence or privacy screen using hedging plants. You can also ecourage the growth on top of the fence with trellis or wire supports. Replacing an existing fence. You do not need to seek prior approval from the local council to replace a fence of the same size and built using similar materials. If you wish to replace a fence with a higher structure you should seek advice from your local council. Some counties do not allow fencing in front of the building line. This is designed to protect open areas. Please check with your local county authority before proceeding. 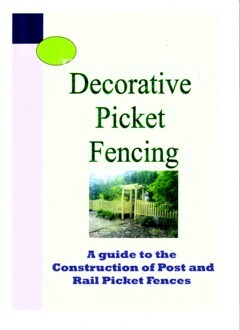 Check on the guidelines for your local county here… www.alldayfencing.com/adfcouncil.php. I designed and built an attic ladder for my home and discovered how easy it is to build and install! I suggest this project to anyone who requires more space in their home! I have gained a huge storage area that was never available in the home due to the demands of my growing kids! 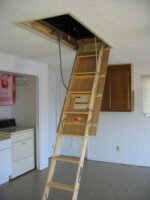 The attic ladder is positioned in the hallway ceiling and can be folded down when required or up and out of view! I have printed the plans together with a description of the process in easy to follow steps and a list of the materials required. SAVE heaps and have the pride of doing it yourself! The whole process took me one weekend to build and install the ladder. You can download the plans (and other handy projects) here… www.alldayfencing.com/adfshopdiy.php. Build a pergola for your home easily with our step by step plans designed for the handyman and tradesman alike! 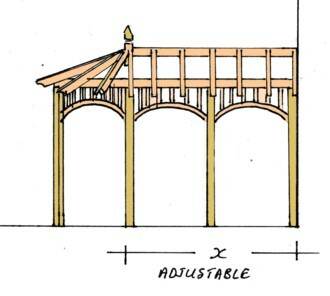 Choose from radial pergols, lean to pergolas, heritage style pergolas and garden gazebos. 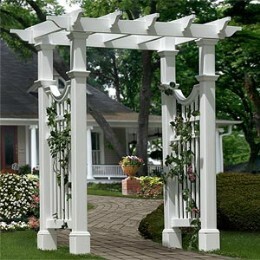 Pergolas instantly defines outdoor space, help create shaded areas and improves the looks and value of your home. All guides include a detailed list of easy to follow instructions, plus, illustration, suggested materials, tips from the experts and more. Receive up to $50 of extra books including Footing Design, Safety Guide, Tool Care and Spantables, to help you choose the right sized timber for your pergola! only when you purchase online. INSTANT ACCESS download now and receive your consruction guide and plans by return email. Individual plans and guides retail between $14.95 and 29.95 each and are for sale here for under $8! All plans are copyrighted and available only from All Day Fencing. Other plans include how to build: Attic Ladder, Arbor, Cupboards, Shelving, Garden bridge, Pergolas, Gazebos, Studios, Mezanine floors, Gates, Windows and Doors, Staircases and much more! My neighbors tree is taking my sunlight, what can I do? Are your neighbors trees growing and reducing the amount of light entering your yard? Are the trees starting to take your view? What can you do? Trees and their location can often cause much disagreement between neighbors. Problems such as overshadowing, privacy, damage from roots or falling branches can cause issues between neighbors. Where both neighbors agree to retification of the problem and an agreement on costs can be reached there is no problem. Sometimes where a tree is located on the boundary, both owners are equally responsible for the tree and any damage it may cause. If a tree planted by your neighbor has grown and now threatens to damage property or fencing, you must write to your neighbor informing them of the situation, and request the tree be removed and replaced with a smaller more suitable tree. If your neighbors trees have grown and are now blocking or threatening your views you should first speak with your neighbors and see if you can reach an agreement on height. The plant would then be trimmed and maintained to this height by the owners of the trees. If no agreement can be reached your best action will be through your local government office. In the event your property is shared with an owners coorporation, managing agents, apartments, villas, townhouses or commercial structures, it is best to advise the registered owners in writing, of the works or rectification work required and any costs involved. If you are not on speaking terms with your neighbor, or the home is tenanted, a well drafted letter informing them of your intentions should be sent to the owners registered address prior to any works. If your neighbors tree branches overhang your yard you have the rights to trim the branches (at the boundary fence line). The branches belong to the owner of the tree. Place the branches in the owners yard for them to dispose of. It is advisable to speak to your neighbor first stating your intentions. Failing this you can send them a well drafted letter stating your intentions and their responsibilities. If you have suffered property or fence damage caused from a tree, or a falling tree, a property insurance claim should be lodged by the owner of the tree. Before removing any trees always check with your local government for approval prior to any work. To help with your negotiations we have drafted a collection of ‘Letters To Serve Your Neighbors RE: TREES’. Print the letters you require for notification, costs and works completed to avoid expensive and stressful neighbor disputes. Primed with architectural strength primer. Structurally Graded F7 or better. Treated with LOSP (light organic solvent preservative) to hazard level 3 (H3) for external above ground use. Kiln dried (KD) to maximise stability. Dressed all round (DAR) for a smooth finish. Finger jointed (F/J) and laminated. 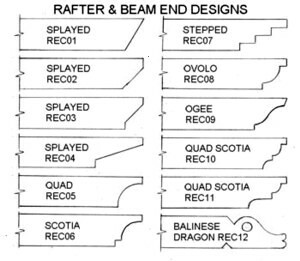 Usage: external appearance grade structural timber. 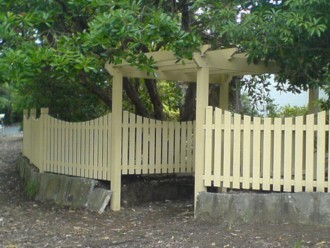 Used for Gates, balustades, pergolas and all external uses. Primed and ready for painting. Treated with LOSP (light organic solvent preservative) to hazard level 3 (H4) for in ground use. Usage: external appearance grade structural timber. Used for fence, verandah and pergola posts, primed and ready for painting. Pressure treated wood is wood that has undergone a process to make it more durable so that it is not susceptible to water, rot, termites, or fungus. If you are looking to build something that will last, consider the advantages of using pressure treated wood. This wood is available at most lumberyards and home improvement centers. Just look for a stamp or tag of approval by the American Wood-Preservers Association</a></b> (AWPA) or the www.alsc.org, American Lumber Standards Committee (ALSC). Generally treated timbers are not dangerous around children. Treated timbers are primarily used for decks, pergolas, fences and gates, power poles and many other outdoor structures. Treated timbers are not dangerous to children if used in these appplications. However treated timbers should not be used for things like chopping boards where the chemical can contaminate the food. For this reason I would not use treated timbers for childrens play sheds or furnature. 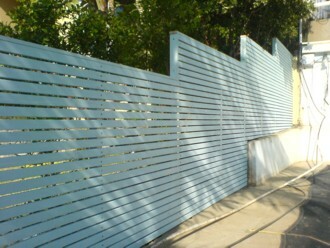 More information on treated timbers can be found at our website www.alldayfencing.com/adfinfo.php. Do I have to have a fence if I don’t want one? Neighbor dispute! Most commonly, a covenant in relation to fencing will be one put on by the developer, stating that the owner can’t ask the developer to contribute to the cost. Cut and paste the letters you require, print and send! The general rule with dividing fences is that the neighbors split the cost 50/50. If both neighbors can agree on the location, style and cost, then they can simply proceed. It is, however, desirable to record the agreement in writing. So, if you are required to have a fence what type of fence is sufficient? If you decide to erect a dividing fence of a higher standard than a sufficient fence without obtaining the agreement of the adjoining owner, you may only claim half the cost of erecting and maintaining a sufficient fence, as defined above. Neighbor disputes over fencing are common. Most stem from poor communication between the neighbors. It is highly advised that the neighbors are informed of every step and where possible have some input into the design, height required or materials used. The best way to avoid fencing and neighbor disputes is to send a carefully written letter to your neighbor informing them of your intentions and their responsibilities. You can download a set of Legal letters drafted especially for you to send to your neighbors from the All Day Fencing website: www.alldayfencing.com. Letters To Serve Your Neighbors! – just cut and paste the required letters to your computer and send as needed!